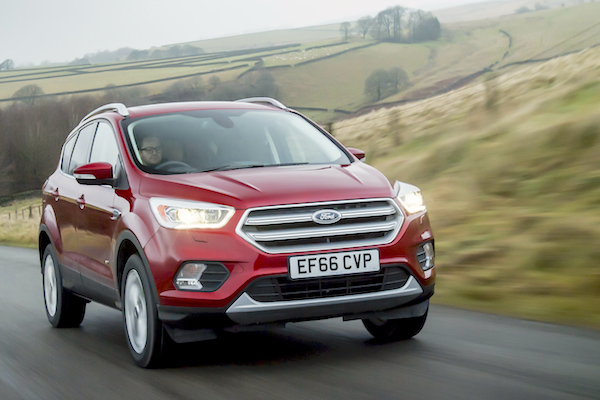 It’s in Wales that the Ford Kuga posts its first podium finish of any UK nation. Our partnership with SMMT enables us to share with you today December and Full Year 2017 data for Wales. Keep in mind this is a zoom in for each UK nation, these figures will be included in the upcoming December and Full Year 2017 UK Reports. Wales is the worst performing nation in the UK in 2017 with registrations down 10% to 82.753 units. This year and for the first time since BSCB has been following the Welsh market (since 2013), the podium is 100% Ford with the Fiesta remaining in pole position despite a harsh 26% drop ahead of the Focus (-2%) and the Kuga signing its very first podium ranking in Wales in spite of a 6% drop on 2016. Stable sales enable the VW Golf to gain three spots and point its bonnet in 4th place, while the VW Polo (-9%) remains at #5 and both the Dacia Sandero (-8%) and Nissan Qashqai (-10%) gain two ranks to leap to #6 and #7 respectively. The Vauxhall Corsa tumbles down 40% to #8, the Vauxhall Mokka X (#8) replaces the Mokka (#6 in 2016) in the annual Welsh Top 10 and the Toyota Yaris follows the market (-9%) to remain at #10. Full Year 2017 Top 10 models vs. Full Year 2016 full figures below.